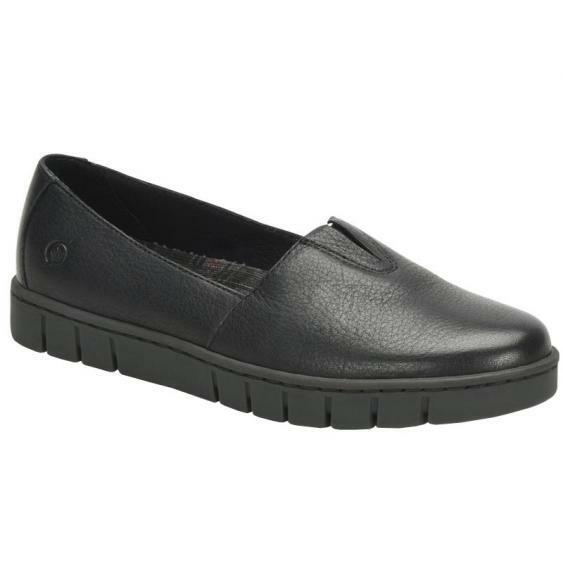 Need a classic flat, and the support and comfort to get you through your day? Welcome to the Born Congo. Born cares about the working woman, and crafted the Congo to be a lightweight cushy answer to the need for women to be on the go. Whether it's grabbing groceries or taking on the board, picking up the kids or setting up a cocktail party the Congo will take care of your feet. The Congo features an athletic bottom for secure traction, a full gain leather upper, and superb flexibility. Born added a removable footbed just for you, and of course features Born's Opanka handcrafted construction. The Born Congo will get you through every challenge you take on every day. I love Born shoes and when I Googled this style, Dodd's Shoe came up. The color I wanted at a great price along with free and fast shipping! What's not to like? Thanks, Dodd's! I'll definitely be back to shop again!